Perreaux are a New Zealand based designer and manufacturer of highest quality audio equipment. Their mission is 'the perfect re-creation of a musical event'. This is achieved by, skillfully combining their unique design and manufacturing techniques, with our shared vision and ongoing commitment to excellence. The Perreaux product offering is of uniformly high quality. Hallmarks of the brand feature sophisticated circuitry, designed to outperform the competition and rock-solid construction that is built to last a lifetime. This ensures that only highest quality, hand selected components are used throughout. Whilst Perreaux products have always featured cutting edge technology, their most recent generation of products has taken the philosophy a step further. By incorporating future-proof designs, Perreaux have indefinitely extended product life cycle and further increased customer satisfaction. The Audiant 100p is a no compromise 100W stereo power amplifier with balanced input and combines form and function to create a hugely satisfying amplifier. The MOSFET output transistors and high-current power supply give a potent, dynamic and sophisticated sonic signature; continuing the tradition of previous Perreaux pieces – engaging, purposeful and controlled. With 100W power output per channel, fully balanced input circuitry, shunt voltage regulation and power supply filtering; it is amazing what advancements are made in the level of transparency, detail and dynamics. The Audiant 100p stereo power amplifier raises the bar on what is possible in this category. 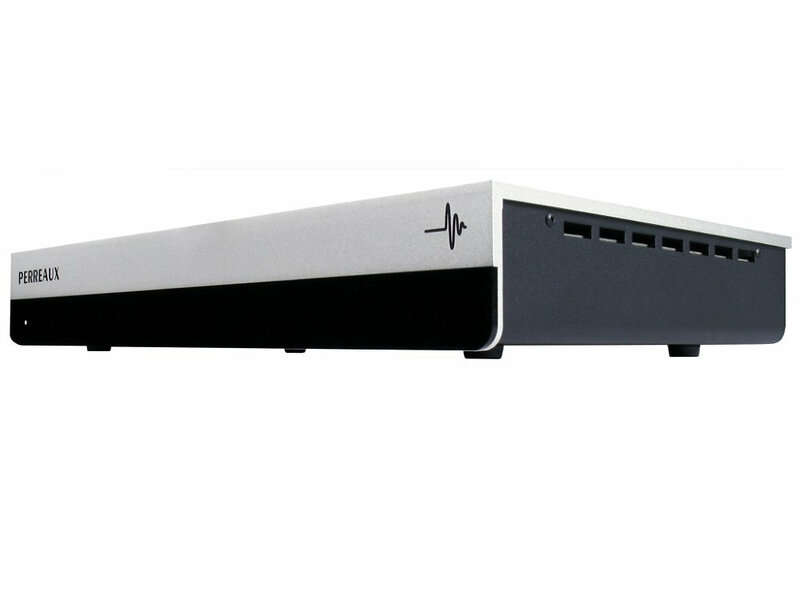 The Audiant 100p stereo power amplifier is the perfect partner for the Audiant DP32 USB DAC preamplifier. Whether as part of a complete Audiant system, or as the power amplifier in your existing system – the 100p will reconnect you with the MUSIC.